Epitaph on Her Son H.P. 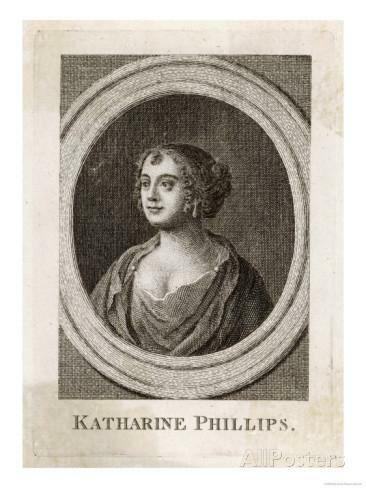 Katherine Philips was one of the few female writers to emerge during the 17th century and, in her short lifetime, was responsible for a large number of poems which seem to have been written for the pleasure of her friends rather than for publication. She founded The Society of Friendship which had mainly female members. She was a multi-linguist and translated foreign language verse into English and, more notably, translated two Pierre Corneille plays from French. She then gained the distinction of being the first female playwright to have her work performed on stage in both London and Dublin. The play La mort de Pompee was performed under the name Pompey in 1663 and she was still working on the second – Horace­ – when she died prematurely a year later. 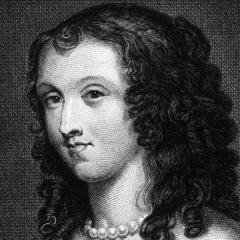 She was born Katherine Fowler on the 1st January 1631, in London. 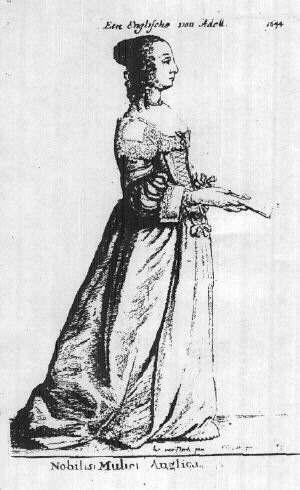 Her father was a strict Presbyterian with moderately puritan views and he sent her to a boarding school in Hackney. It was here that she forged a lifelong friendship with Mary Aubrey and it is believed that many of Katherine’s poems are dedicated to her. The members of the Society of Friendship all adopted classical names and Mary’s was Rosania. 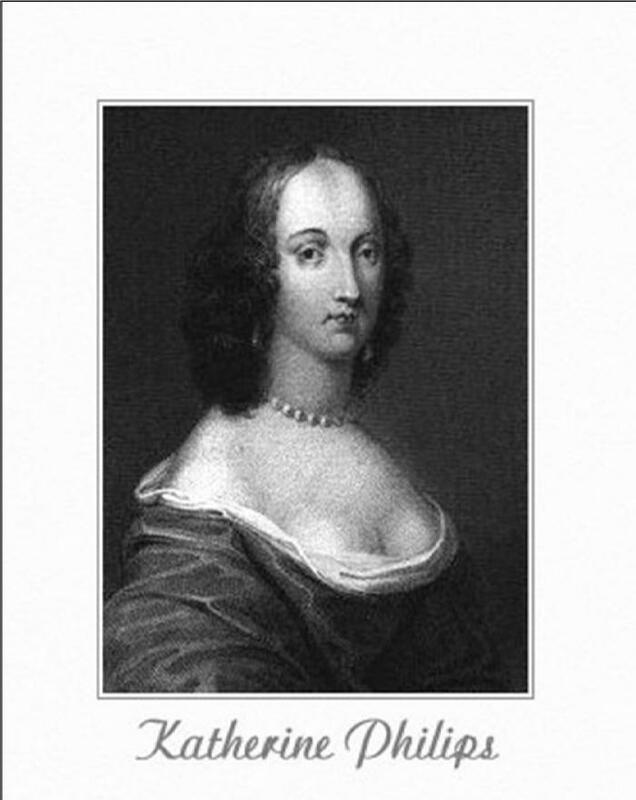 Katherine took the name Orinda and became known in literary circles as “The Matchless Orinda”. 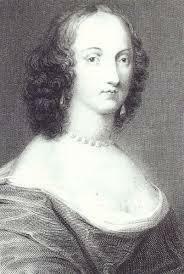 Her father died in 1639 and this signalled dramatic changes in Katherine’s life. Her mother married a Welsh Baronet called Hector Philips,. When she was 16 her step-father arranged her marriage to his own son, James. There were two remarkable things about this; her new husband was 38 years her senior and he remained in Wales while his bride continued to live in London. 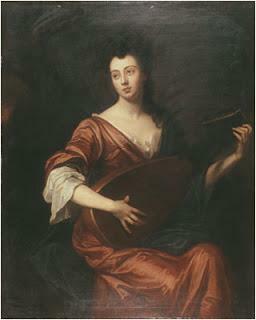 This arrangement seemed to suit both and left Katherine free to pursue her developing relationships with members of her Society and her writing. Apart from the age difference they had opposite political views with Katherine a staunch Royalist despite her puritan upbringing. Her husband was a supporter of Oliver Cromwell who, in 1649, was one of the Members of Parliament who signed the death warrant of King Charles 1. Upon the Restoration he only escaped prosecution for his regicide because of Katherine’s relationship with Anne Owen (Society name Lucasia). One of Charles II’s prominent aides was interested in Anne’s hand in marriage and, because both Katherine and her husband assisted this courtship, Philips only lost his job and his lands but kept his head. At the age of 20 she had some of her work published, aided by her good friend, the poet Henry Vaughan (said to be one of the few male members of her Society). Many of her poems were dedicated quite openly to Anne Owen and Mary Aubrey. It has been said that the women were lovers, but not in a physical sense. Their relationships were pure and spiritual, uncorrupted by any sexual connotation. 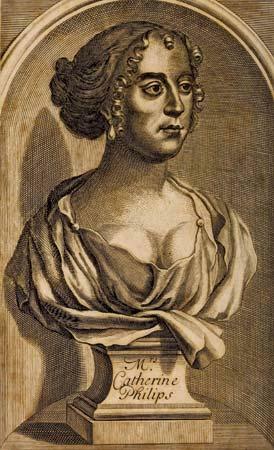 Her work contrasted with another female writer of this period – Aphra Behn – who described in coarse, graphic detail the intricacies of physical love between women. 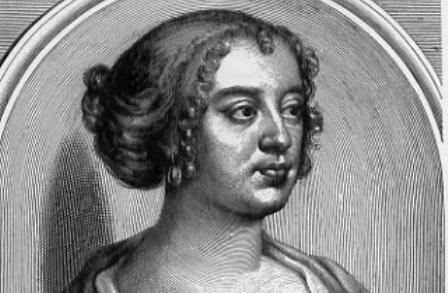 Katherine’s life was tragically cut short when she developed smallpox shortly after returning to England from a visit to Ireland with Anne Owen. 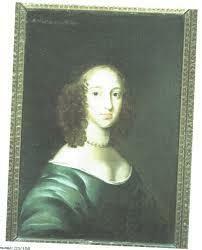 She died on 22nd June 1664 at the age of 33.